If you’re the sort of person who enjoys working out in the cold, but you still want your music the Sound Disk Sports Beanie is for you. This hat comes in three different colors and is designed to help you keep your head warm while outdoors in the cold. The hat has a pair of 35mm drivers that go inside. Those speakers connect to your iPhone or other device using a 3.5 mm headphone jack. 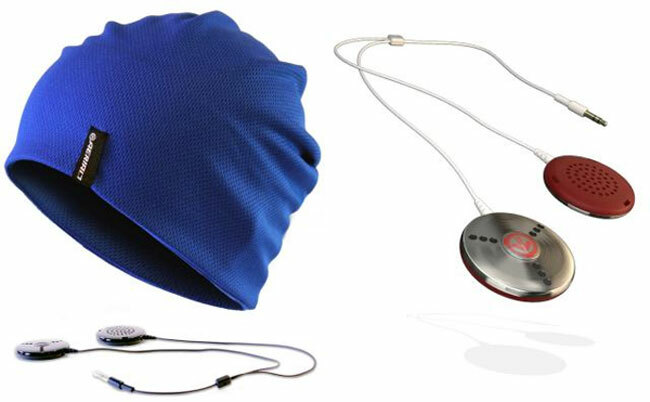 They hat even has an integrated microphone allowing you to make and receive phone calls hands-free. The hat is made from moisture wicking fabric to help your head stay dry. The integrated microphone supports the iPhone, BlackBerry smartphones, and other mobile devices. The speakers are only 8.5 mm thick making them comfortable to wear for extended periods of time. The hat is available right now for $45.